The CSU Channel Islands Bachelor of Science Generic Track I Nursing Program is designed for the entry level pre-licensure student and uses the cohort model of class scheduling requiring full time enrollment. Students move as a group through the designated nursing courses in sequence. Courses are designed so that 200 level courses are prerequisites to 300 level nursing courses and so on. The time to complete the baccalaureate degree in nursing is designed for four years of full time study (one year pre-nursing + three years nursing, after admission to the program. Please visit the bottom of the page for a 4-year Program Curriculum Roadmap.). The Nursing BSN Generic Pre-Licensure program only admits every Fall semester. *IN ORDER TO BE CONSIDERED FOR ADMISSION FOR FALL 2019, PREREQUISITE COURSES NEED TO BE COMPLETED BY THE END OF SPRING 2019. Test of Essential Academic Skills (TEAS) exam version VI (The new ATI TEAS) must be electronically sent to the Nursing Department during the Nursing Program application period (TEAS Exam dates will be offered at CI in January and June). *This exam must be completed prior to applying to the program. Applications cannot be submitted without the input of these scores. For study guides for the new TEAS VI, please visit https://www.teas6practicetest.com/ or http://www.mometrix.com/blog/ati-teas-6-test-breakdown/ for more information on the new test. Due to impaction status (granted by the CSU Chancellor's Office) a Supplemental Criteria point system will be used to determine admission. Student applicants will be ordered by rank for admission according to the following point structure. 50 possible supplemental points can be earned. Students must still meet the minimum prerequisite course requirements for admission and take TEAS exam to be eligible for admission to the BSN Generic Pre-Licensure program. Points will be awarded based on coursework and volunteer/work experience hours completed at the time nursing application is submitted. *First-time freshmen will typically select Pre-Nursing. 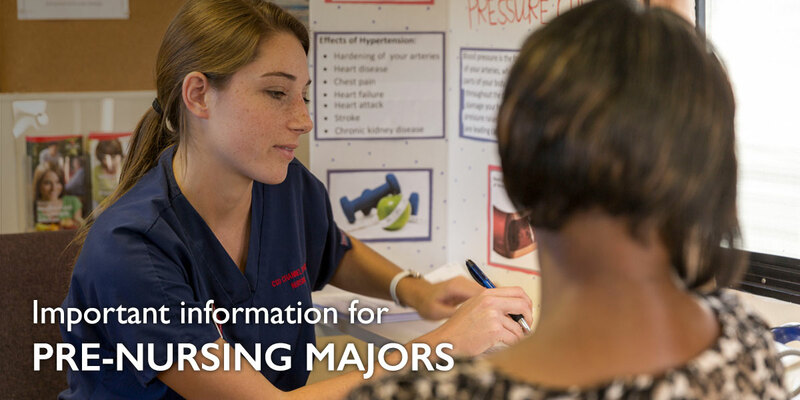 **Transfer students must apply as Nursing majors and designate an alternate major should they not be admitted into Nursing. ***Post-Baccalaureate students will need to select "BSN-Nursing (2nd Bachelor)". Please note: completion of all 8 pre-requisites is required. Pre-requisites can be in-progress during the Fall 2019 semester only. Upload the following documents to your Nursing Application by November 30th, 2019 (late documents will not be accepted). For current CI students, please visit the university's website to locate your unofficial transcripts. TEAS Exam scores. Submit electronically via www.atitesting.com website. Choose “CA State Channel Islands” when selecting campus. Verification of health care related work or volunteer experience in a medical related field. For in-progress prerequisite courses during Fall 2019, official transcripts from all colleges/universities attended during Fall 2019 are due by January 18th, 2020. Please mail to address below. Due to the high amount of submitted applications, the Nursing Program cannot field calls or emails regarding whether or not your application materials have arrived. Please do not contact the Nursing Program for status of admission. Students in the nursing program are required to have health insurance, demonstrate a sufficient immunization record consistent with that required of clinical placement in local health care agencies, and pass a physical examination. After admission, students will be required to obtain, at their own cost, a criminal background check and drug screen as required by clinical agencies where students are placed. Students must meet background check standards required by clinical agencies. Failure to meet such standards will result in inability to complete clinical course objectives and thus inability to complete the BSN program. Students are expected to have reliable transportation for clinical rotations. Acceptable work experience includes employment in fields such as: Licensed Vocational Nurse (LVN), Certified Nursing Assistant (CNA), Respiratory Therapist (RT), Emergency Medical Technician (EMT), Medical Assistant (MA) or a Psychiatric Technician. Other work experience will be evaluated on an individual basis. Local qualifying volunteer opportunities include but are not limited to: TLC Home Hospice (Loving Heart Hospice Foundation) and COPE Health Solutions Clinical Care Extender Internship (St. Johns Regional Medical Center, St. John’s Pleasant Valley Hospital).